Since it’s founding in 2006, CascadiaNow! 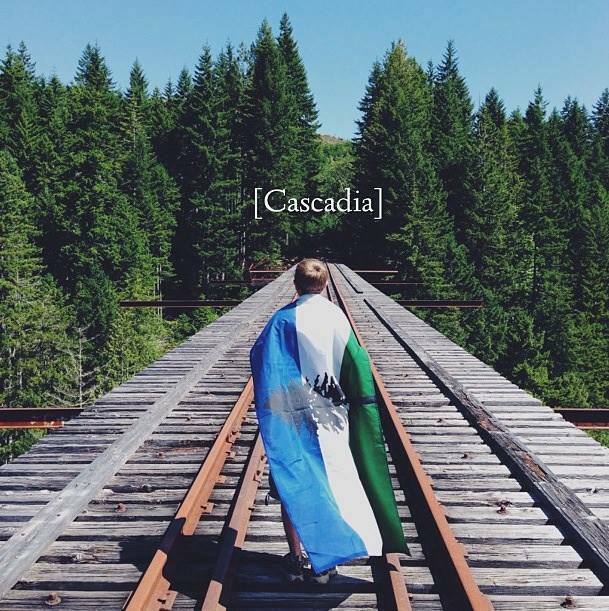 has worked to raise awareness of Cascadia, bring people together excited about the idea, and empower everyone to inspire, envision and dream of something exciting and new for those living in the Cascadia Bioregion. We’ve outreached and connected with thousands of amazing individuals, and in 2014, I’m excited to announce that we will be taking our organization to the next level by becoming an official 501c3 non-profit organization. Our sole mission will be to empower all forms of Cascadia organizing. To start, this will largely be through fiscal sponsorship for chapters, groups, projects and events, to continue to serve as a focal point for organizing, and building community partnerships. In the future, if we are successful, we will expand to providing grantwriting, fundraising, graphic design, marketing, accounting and financial services – basically all the back office services that every group needs, but few actually have – so that groups and projects have the tools they need to focus on what they feel is important. As part of this, CascadiaNow! will be de-coupling with the Cascadia Independence Project, and focus on organizing around the regional, cultural, environmental and geographic aspects that make the PNW an incredible and unique place to live. In the future the CIP will remain a seperate, but integrated body to provide research, political advocacy and action for the Cascadia Movement, and attempt to visualize what that may look like. It’s an exciting process, and the result of several months of hard work by a lot of incredible people, and we have several months still ahead of us. At this point, we’re also going to begin to start outreaching with every person who has ever wanted to work with our organization, and use the early part of 2014 to create a groundswell of Cascadia organizing that will culminate in our first regional convergence later this year. If you’ve already contacted us, expect to hear from us soon. If you haven’t this is a great time to be involved. We have, and are continuing building an amazing team of individuals and groups to help us through this process. Let us know if you want to help. If you have any general questions about what we’re doing, please contact me directly. It’s my personal goal to work with you as best I can to get you involved, make sure you have the tools you need, and empower your vision for Cascadia. Thank you to everyone who ever given us support. It’s an amazing movement and I look forward to working with you in the future. Next Article2014 Cascadia Poetry Festival – Registration Open! A very happy 4th of July Cascadian ‘Inter-dependence’ Day!